Many of us are waiting for the Judicial Review re Southampton which is now to be heard in full on 19th & 20th January in London. This decision will have huge implications. If water fluoridation goes ahead there it opens the door to more attempts to fluoridate more of our water. The Telegraph and Argus report that the 'Fluoride study first phase should be done by end of year'. The results of this study will look to see if fluoridation is technically possible and how much it would cost. This could also influence decisions. 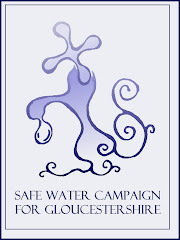 Meanwhile the UK Councils Against Fluoridation website has been updated: www.ukcaf.org. A new entry is the letter to the EU Commissioner to enforce medicinal law on water fluoridation chemicals. 1. Local authorities do not employ doctors, toxicologists and other experts in the medical field. 2. It is not legal for an unqualified person such as a councillor to prescribe medication. 3. To take such a responsibility would mean that councillors would each have to have extensive personal liability insurance.